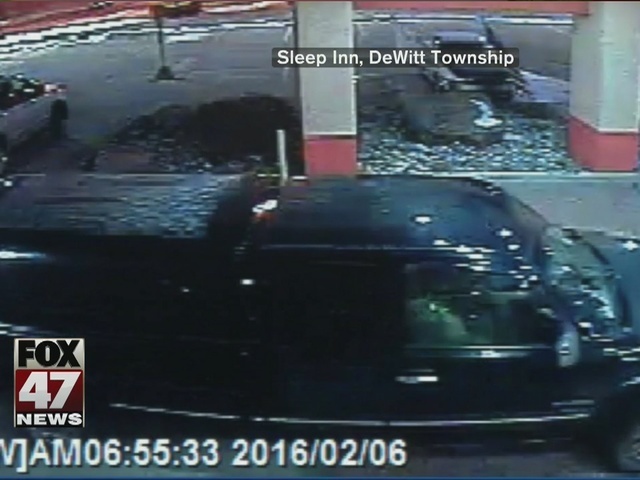 Police in DeWitt Township are looking for a man who robbed the Sleep Inn on Commerce Drive with a butcher knife early Saturday morning. Police say the suspect entered the lobby just before 7 a.m. with a large butcher knife and demanded cash. He then took off in a black or dark blue early 2000's Chevy/GMC truck with a topper which was parked outside the front door. The suspect is described as an African American male, between 30 and 40-years-old, about 6 feet tall and 200 pounds. Police say he was wearing a cowboy hat and scarf at the time of the robbery. Anyone with any information on this incident should contact Detective Derreck Schaberg with the DeWitt Twp. Police Department at 517-669-6578.